Join us at one of our Come and Try It (CATI) sessions, which we regularly hold at Totnes pool. CATIs are open to anyone 10 years and above, sessions take place on Wednesday evenings, meeting up at 19.00 and finishing by 21.00. The CATI starts with a basic explanation of the kit and getting you kitted up. You will then be taken into the water by one of our qualified instructors and introduced to Scuba diving. 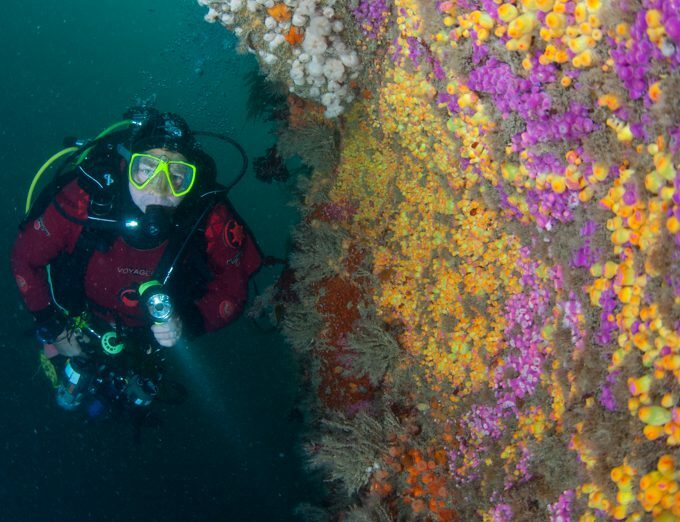 The instructor will stay with you throughout your dive, taking plenty of time to go at the pace that suits you. 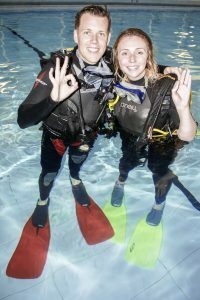 You will be introduced to swimming underwater using the Scuba kit, swim up and down the pool a few times and, if you feel confident enough, try a few underwater exercises. Scuba diving is a sport which requires general physical fitness and good health. We will therefore ask you to complete a form before the try dive to confirm that you are are in good health (see link below). Before the session it is helpful to know your approximate chest size so that we can bring along the right sized SCUBA jacket. All you will need on the night is your swimming gear and ideally a T-shirt to wear under the SCUBA jacket. We do ask for a contribution of £15 to cover our costs. After the CATI we are able to answer any questions that you may have about diving and about our club. If you would like to book a place, or would like more information please contact us: totnes.diveclub@gmail.com.